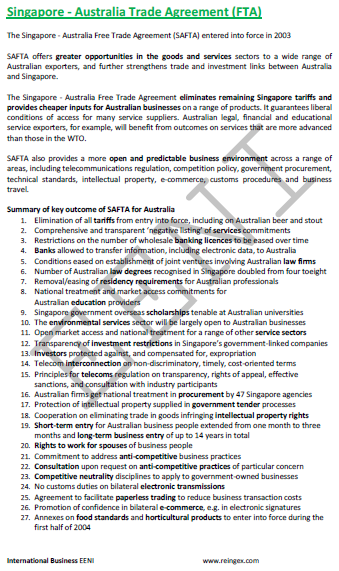 Syllabus of the Online Course (Subject): Foreign Trade and Business in Australia. 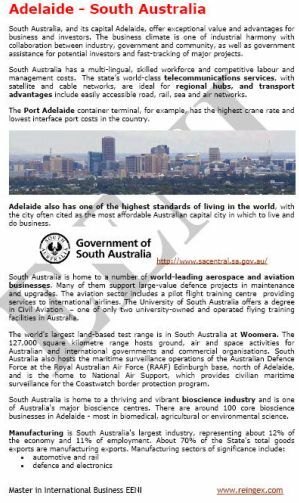 The course materials are available in or Australia Australie. 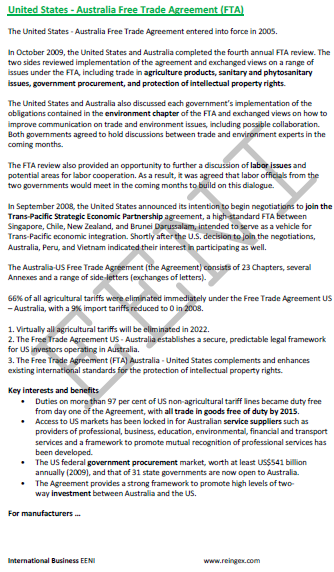 Description of the Online Course: Foreign Trade and Business in Australia. 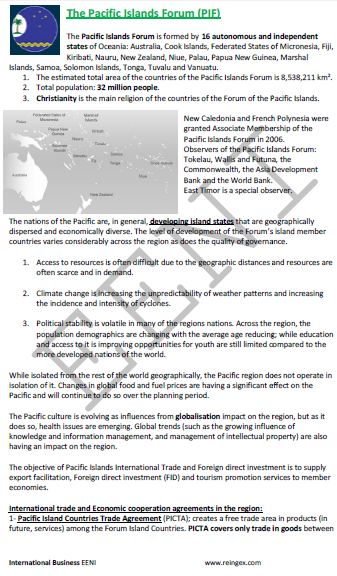 The Commonwealth of Australia (Asia-Pacific). 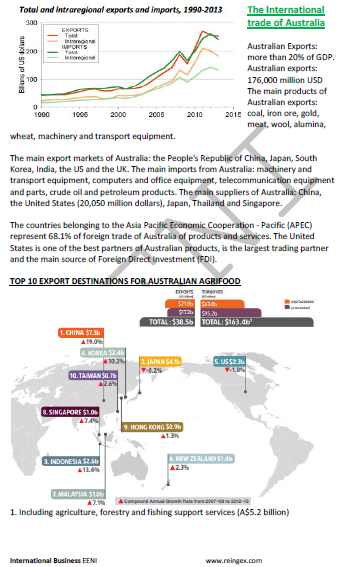 Australia is the world's 13th largest economy. 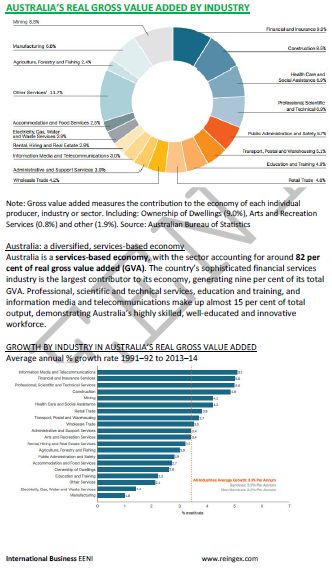 Services are the pillar of the Australian economy, which account for just over 60% of the economic activity. 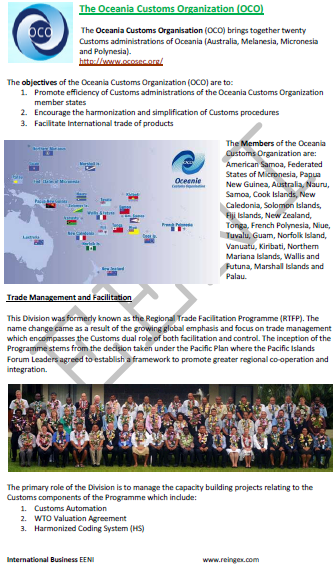 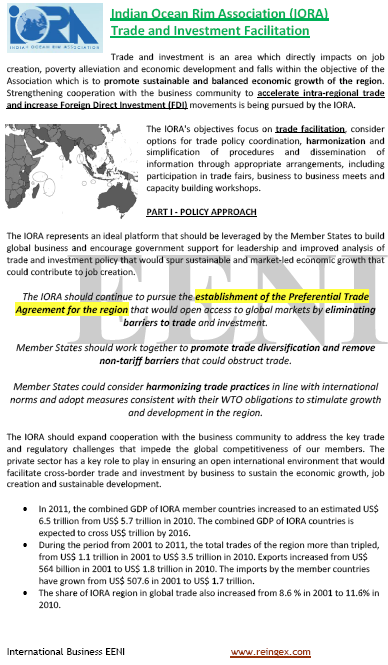 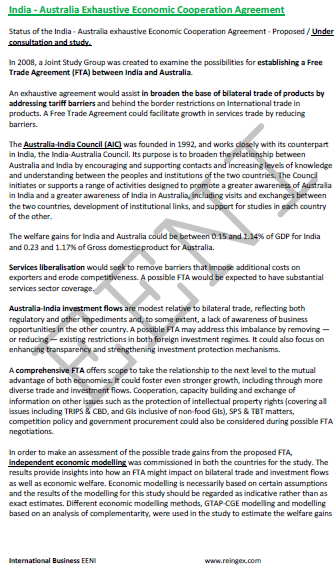 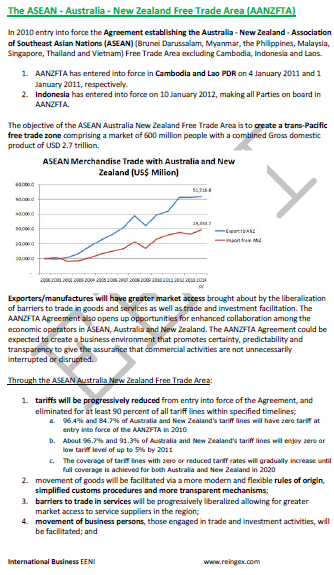 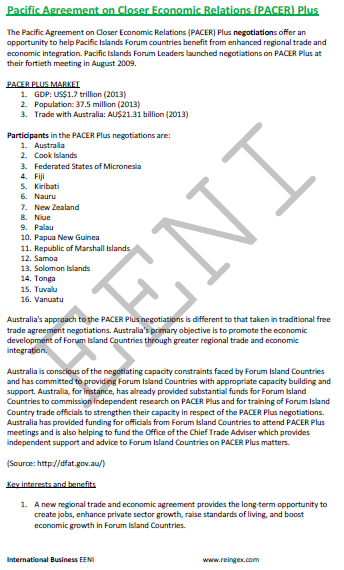 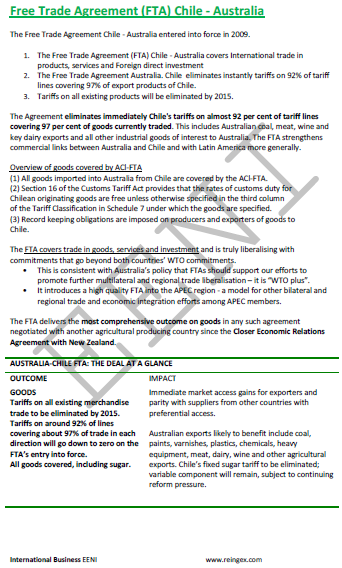 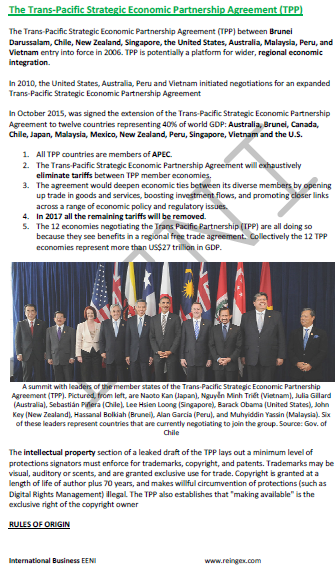 Australia is negotiating seven Free Trade Agreements and bilateral agreements with the People's Republic of China, Japan, Korea and Malaysia, and regional/multilateral Free Trade Agreements (FTA) with the Gulf Cooperation Council (GCC), Trans-Pacific Partnership Agreement (TPP) and the New Pacific Trade and Economic Agreement (PACER Plus).